Established in 1967, the Huron Intermediate School District is a regional, educational agency that serves students, families, and communities in Huron County. 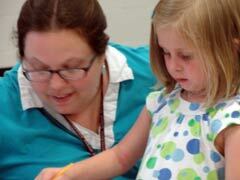 Our direct customers are local school districts and their students and families. With about 130 employees, our mission is to ensure educational leadership, effective programs, and quality services which complement and enhance the efforts of community partners in educating all learners. We take our role in assisting schools and communities very seriously. This Profile of Services tells of the many ways in which we serve Huron County in terms of general, special, and career/technical education. Described also are miscellaneous and managerial services we provide to help schools and residents with the important work of preparing all learners for success in life. Please feel free to contact us if you have any questions or want to discuss this Profile of Services. 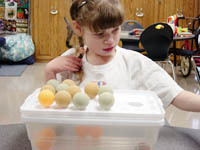 Early Childhood Special Education*-preschool program for special needs children, ages 3 through 6 who qualify for services based on formal evaluation. 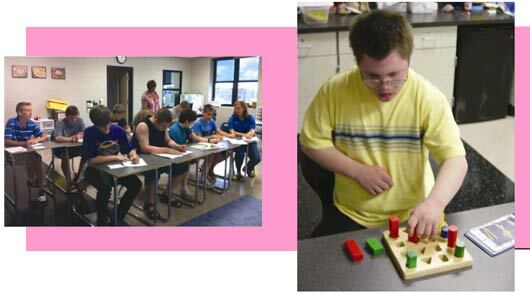 Special Education programs and services of Huron ISD encompass specialized instruction, programs, and services offered to approximately 700 hundred students with disabilities throughout Huron County. Based on student need, these programs and services assist students to gain access to the general curriculum, participate in transition opportunities, and develop skills necessary for self-sufficiency. The Huron Learning Center provides specialized programs for students who can benefit from more intensive instruction in a center-based setting. Educators and staff members share in professional development that expands and enriches the learning environment. 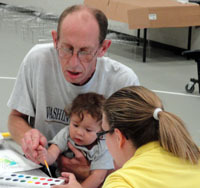 Families are connected with resources and offered opportunities to actively engage in their child's education. The Parent Advisory Committee (PAC) provides direction for parent's training and fosters communication within local school districts. The Business Services department of the Huron ISD consists of dedicated professionals whose goal is to contribute to the successful education of all students through sound fiscal practices. Staff oversee daily transactions and all financial services including budgeting, financial reporting and analysis, grant processing, cash flow monitoring, external audit planning/preparation, insurance benefits, retirement benefits, payroll processing and reporting, criminal record checks and fingerprinting, and accounts payable and receivable processing. The Business Services department also provides assistance to our local school districts and the K-8 districts. The Director of Financial Operations meets regularly with local school business managers providing updates on legislative changes which affect school finance and facilitate collaboration. 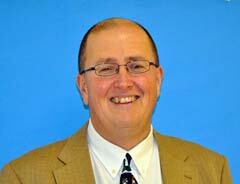 A Message from the Superintendent . . . The Huron Intermediate School District provides leadership and service in the areas of general education, special education, and career-technical education. It is our goal to promote excellence while serving all of our local districts, which includes seven K-12 public schools, five K-8 rural schools, and four parochial schools. We are committed to promoting student achievement for all students. We work with local districts to provide high-quality teaching and solid core programs for all children. We screen students early and often to identify learning struggles and provide effective help to get kids back on track for successful learning. We will continue to have the flexibility to meet the ever-changing needs of all of our constituent schools and promote learning for all students.